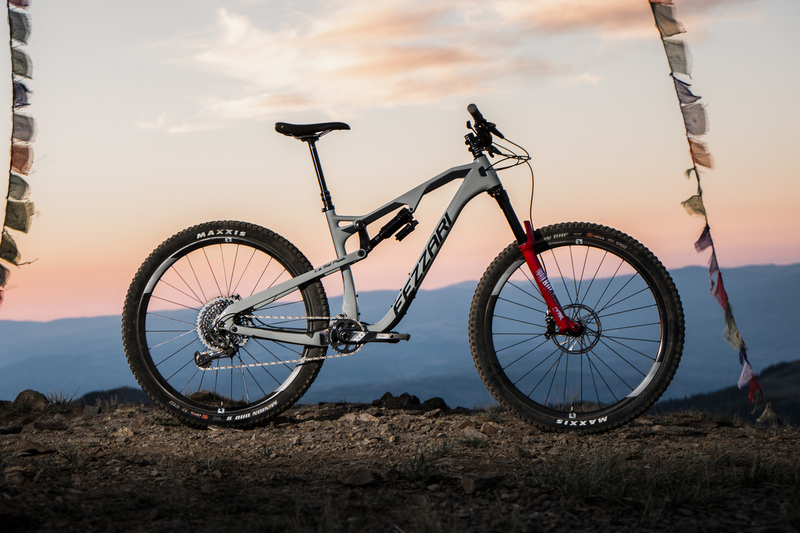 Finally, Fezzari entered the long travel 29er market and they’re doing so with a bang. Known for offering excellent consumer-direct value in the past, Fezzari wanted to compete at the highest level with a capable bike that stands out in this very competitive field. Named after La Sal Peak near the start of the Whole Enchilada trail in Moab, the La Sal is built to descend with confidence and climb with authority. 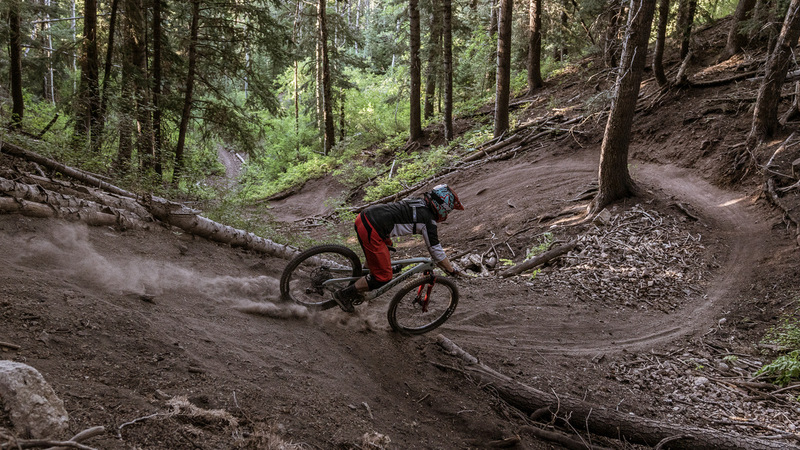 Point it downhill and the La Sal will tackle any mix of rocks drops, and even tight singletrack, then turn around and climb up the steeps like a trail bike. 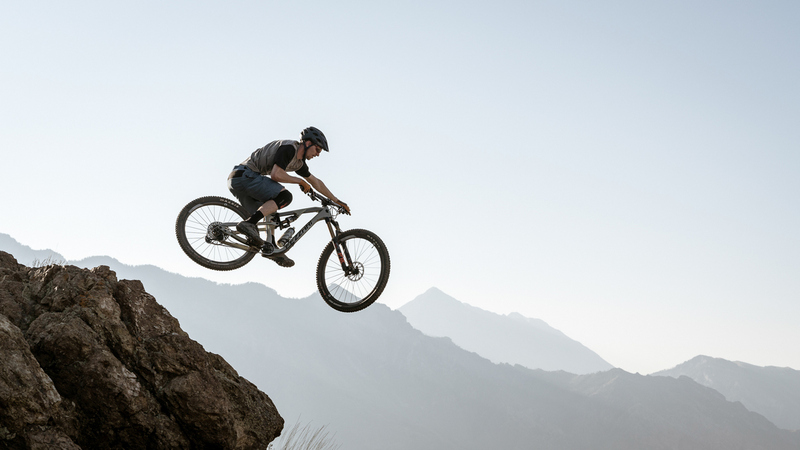 You’re not gonna win any XC races but the bike will not stop you from tackling steep, long hills. 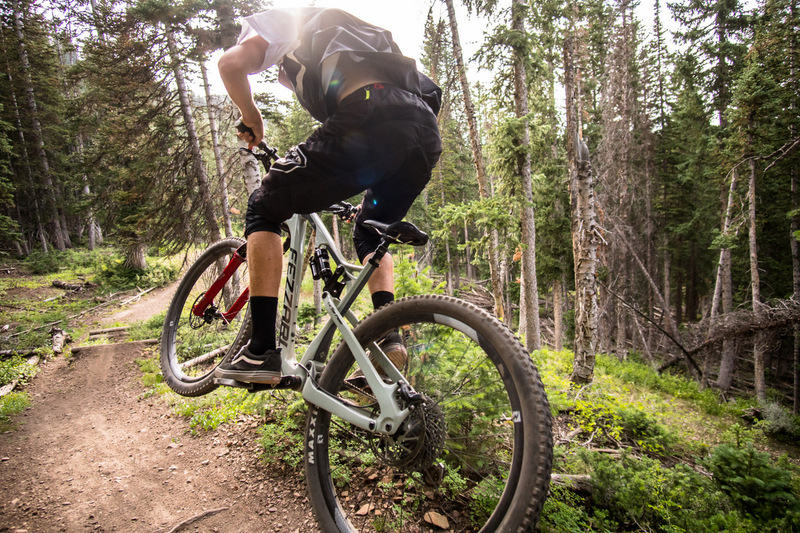 A capable Enduro racer, a 5 lb frame, and a lifetime warranty were some of the design objectives of the La Sal Peak. 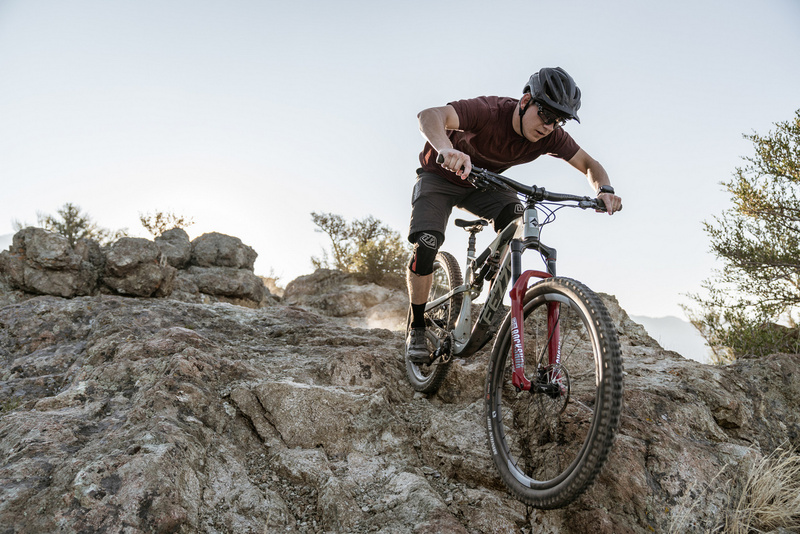 Designed to tackle rough Enduro courses and efficiently pedal 6k ft climbs, the 160 mm front and 150 mm of rear-travel feels right at home in rock gardens and drops. A Fox X2 rear shock mated with a Fox 36 with Grip2 damper provides the suppleness and mid-stroke control. Rockshox options are available as well. 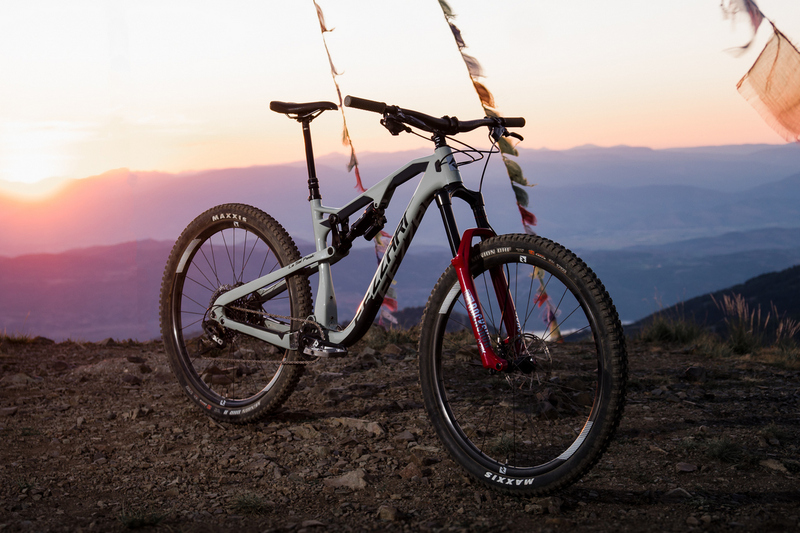 The top spec La Sal Peak weighs in at just under 30 lbs and it is claimed to be light enough for long, steep efforts. The Fox X2 rear shock is not the greatest climbing rear shock around since it is so plush in the wide open mode. Flip the lever and the shock compression damping is ramped up to resist compression and suspension bobbing. It is good for smooth fire road climbs but not the best option for rocky, rooty climbs. The Rockshox Super Deluxe is a better climbing option if one is critical of active and efficient climbing performance. 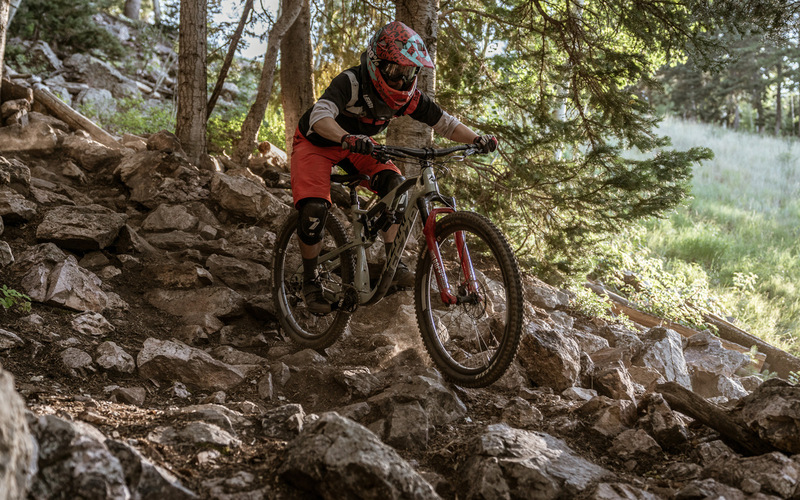 The La Sal was designed for steep descents and rough terrain with its 65-degree headtube angle combined with short 42 mm or 44 mm offset forks (Fox or Rockshox). 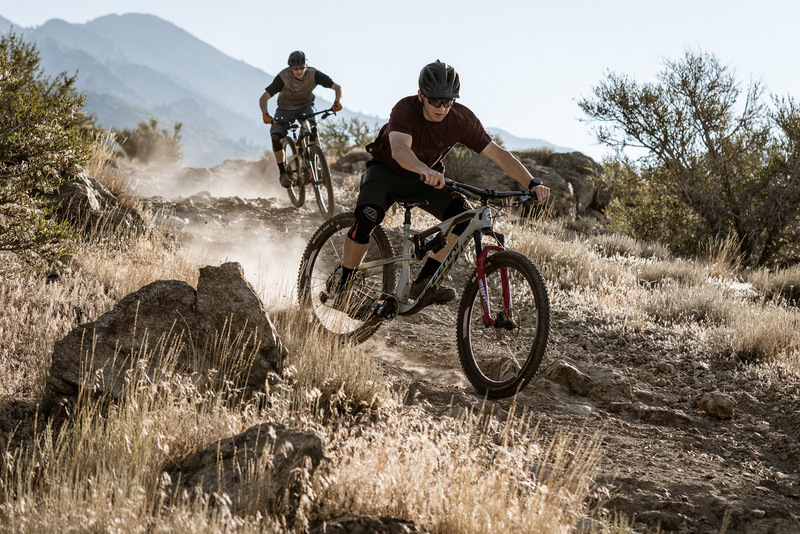 Wheelbase is reduced to get around switchbacks and stability is increased with the shorter offset forks. 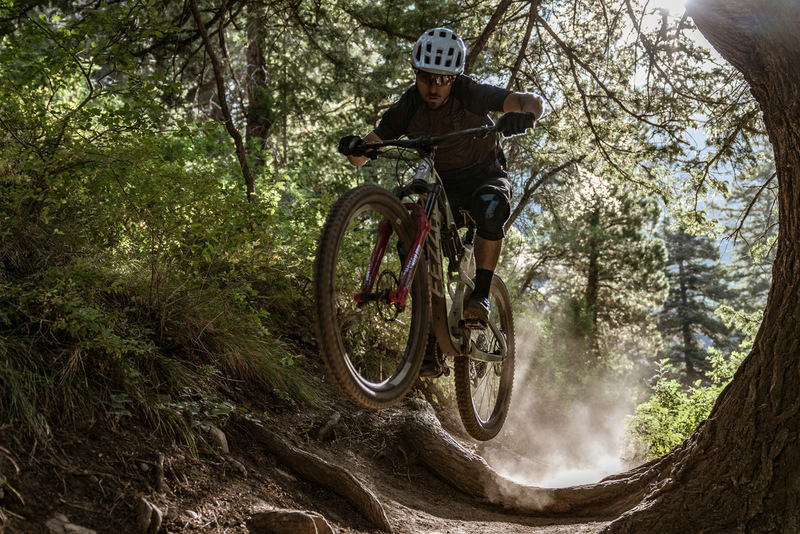 Short 435 mm chainstays keep the La Sal nimble and agile in tight switchbacks and trails. The La Sal Peak features a 78 degree seat angle mated with the 65 degree head angle. The current leading edge geometry standard is 75 seat and 65 seat angle so the 78 degree is quite a radical departure from the norm. Not too long ago, seat angles of 72 and 73 were common so many riders will be coming from this seat angle and may be in for a big shock. It’s very comfortable in the air. Guerilla Gravity and Pole Bikes are two brands we know of that have seat angles of 77 and 78 degrees so it is an arena that is being explored at the moment. The effect of this steep angle is a forward seating and pedaling position, delivering efficient power transfer on the steepest hills. The downside is it reduces the effective top tube length and a bike’s top tube and reach may feel cramped to some. Reach length for the La Sal Peak for a medium is 445mm, a good roomy number by today’s standards. 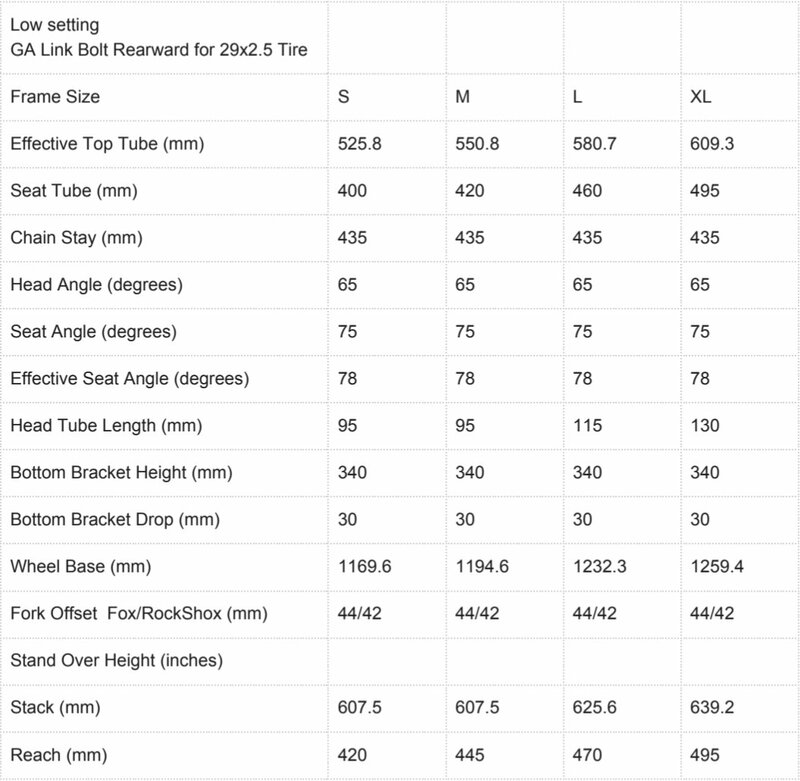 Top tube length, however, is only 550mm due to the steep seat angle. Thus some riders may feel cramped on the initial ‘sniff test’ or parking lot trial. A thorough test ride will allow the rider to settle in, use the dropper post and move around the cockpit and feel comfortable while descending, not seated but floating above the lowered saddle. 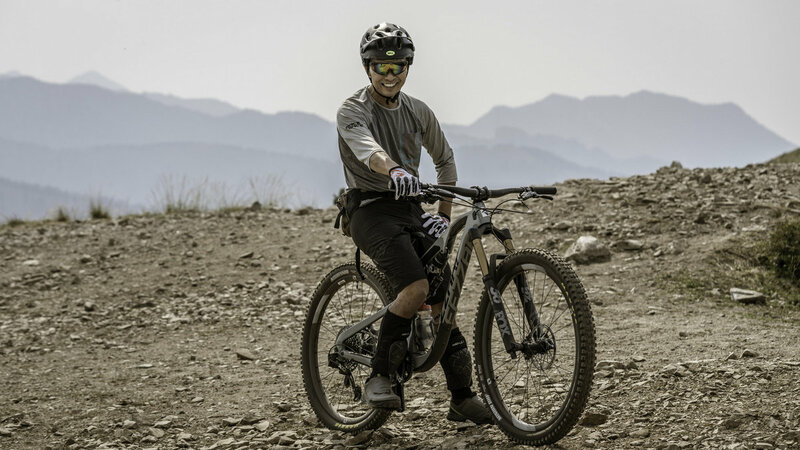 Adjusting the saddle back on the rails may be required for some to get the torso and knees comfortable on some flatter terrain. 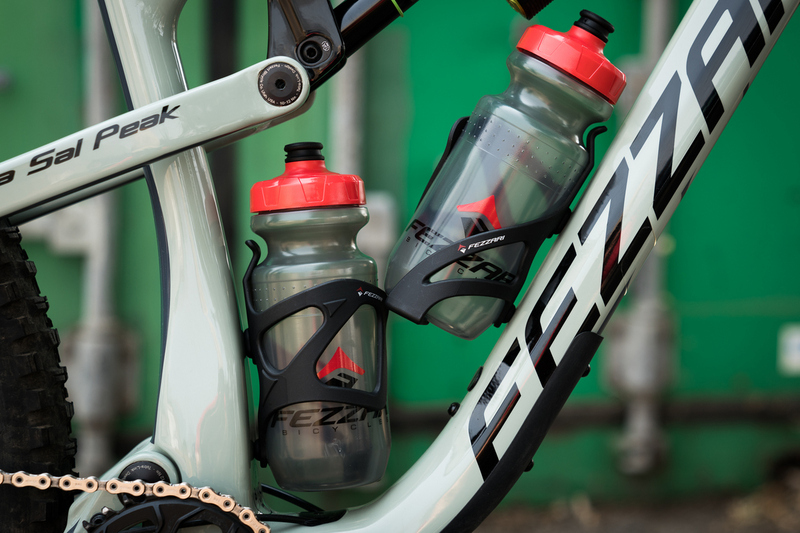 Small details like cable management, bottle cage compatibility, 29×2.6 tires size compatibility, 36T max chainring, ISCG-05 mounts for chainguides are some of the options. 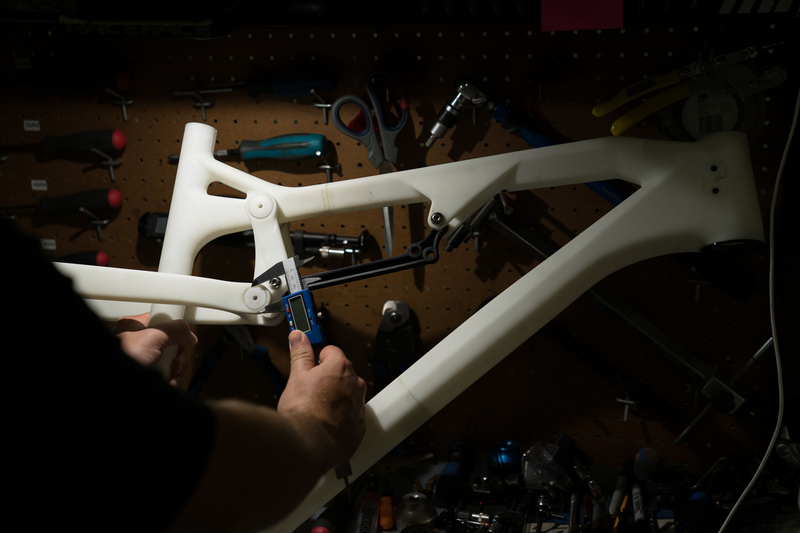 Fezzari utilized 3d printing technology to print and prototype several iterations of the frame during development. 3-d printing the entire frame during development is an expensive but very effective design too. Every Fezzari is custom fit the rider’s measurements and backed by Fezzari’s No Risk Just Ride Guarantee, which includes a lifetime warranty and a 30-day Love It or Return It Guarantee. With a Fox 36 Grip2 up front and a Fox X2 on the rear, the La Sal is a capable and supple descender. Cables are not internally ported but the cable exit port allow cinching down the cables for rattle-free performance. At $4599, this Elite will be a very attractive build for many riders. Excellent components will be offered in both frame colors. Frame quality is exactly the same as the highest end La Sal Peak. The suspension and wheels are sometimes found in the highest end builds of other brands. It is fun in the air and forgiving on landings. 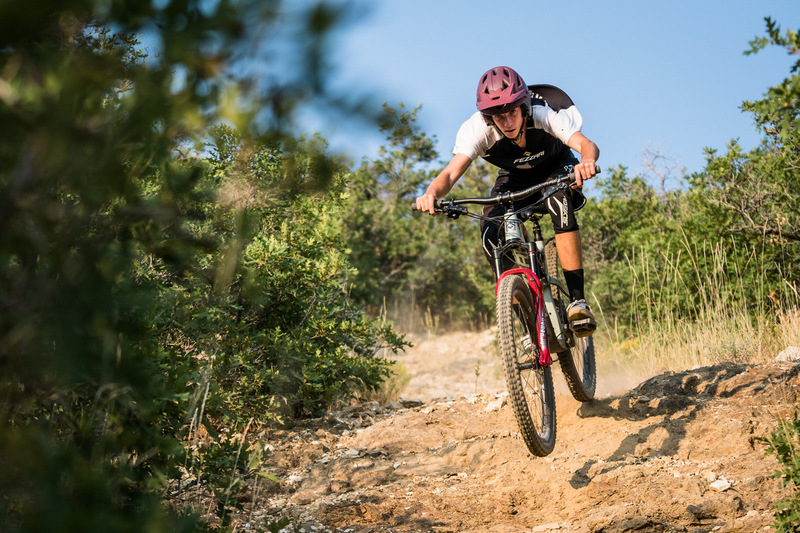 We got to ride the bike for two big days in Park City, Utah. Stay tuned for our ride impressions of this exciting bike. 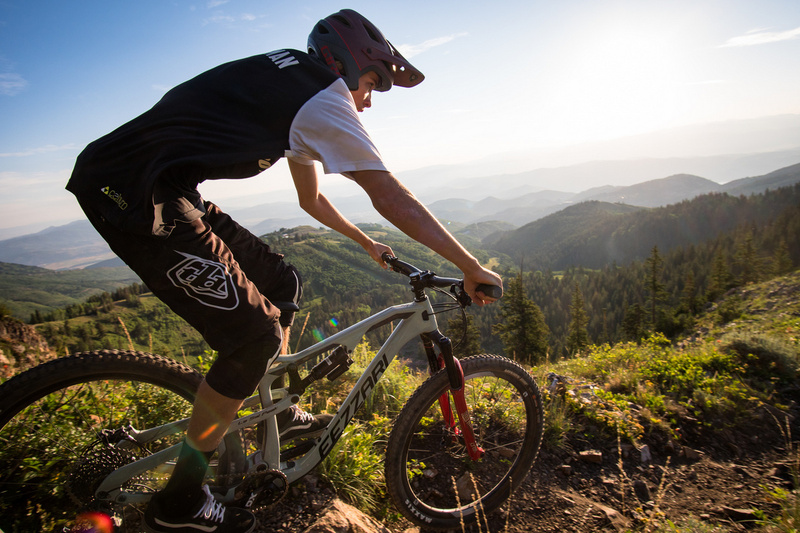 Read on to hear our ride impressions of the La Sal Peak HERE. 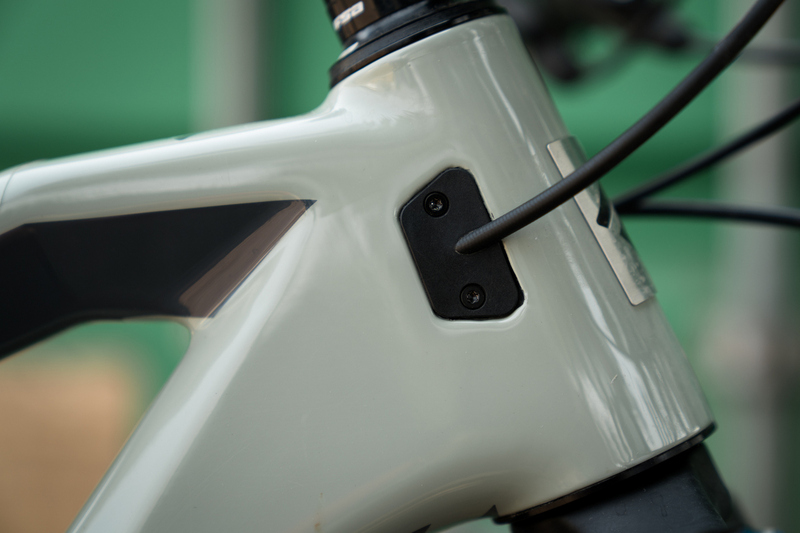 78 degree seat tube and 65 degree head angles make their presence known on this side profile. In swoopy, slidy chutes the Minions and forgiving geometry make it manageable. Photo by Mark Leblanc at @markleblanc.